The job market is more dynamic than ever, with unanticipated industry disruption from small outsiders (think Uber, AirBnB) and from technology (artificial intelligence, self-driving cars, 3D printing…). I’ve read that 70-80% of jobs that exist today will disappear in the next 20 years, which also means that a lot of new jobs will be created that we can’t even predict right now. So how can graduates possibly prepare for such an uncertain future, and how can we – who supposedly are older and wiser – give them effective careers advice? Rather than trying to pinpoint the one perfect career and plan their whole future path, these days it’s about being proactive and making smart choices that will equip them with the skills and tools that will allow them to adapt and take advantage of the opportunities that arise. Here are my 5 tips for how you can give graduates careers advice, without being overly directive and imposing your own judgement. We all inherit an expectation of what success should look like from our parents, our teachers, from TV, and from the society that we’ve grown up in. Given the changes that are happening around us, not to mention the fact that we are different individuals to those other people, with different interests and strengths and ambitions, that inherited definition is not necessarily meaningful to us. If they don’t decide on what success means to them, then it will be very easy to be pushed towards living up to someone else’s definition. Encourage them to spend some time now – and check in regularly, at least every year, to see how this changes – to understand what they’re hoping to achieve, and what will make them as individuals happy and fulfilled. What are their favourite school and university subjects? What do they find much easier than others they know? What kind of things do people come to them for advice on? Tell them to go beyond the academics, and look at any clubs and activities after school, and what they do in their spare time. Make sure they really consider what it is about that particular thing that they enjoy. For example, if they really love acting: is it standing on stage in front of people, is it the camaraderie of the cast, or maybe the creative process of getting to know the character and the script? These different aspects will lead to different ideas about what to do next. Networking is as important for young graduates as it is for us in later stages of our careers, both when it comes to finding a job and also finding out more details about different jobs and careers. They already have access to a range of different experiences, so tell them to consider their network – their parents, their friends, their friends’ parents – and ask to talk to people who are in jobs that they’re considering, or who have done the courses they’re looking at. They should be asking the questions that they can’t answer from looking at a job description: what does an average day look like, what kind of people do you work with, and why did you choose this career? They can learn a lot in this way, and get access to a range of different perspectives, but do remind them: it’s their life and ultimately their decision! In the early stages of a career, it’s important to invest in yourself so that you’re better placed in the future to make the most of the changing job market. That means that the graduate should be developing transferrable skills, building connections (that network again! ), establishing competencies and credentials that will be valued by employers, and also creating a savings buffer, which will allow them more flexibility in their choices in the future. It can also include things like building their own business alongside their studies, or maybe writing a book – anything that demonstrates their motivation, develops their skills and contributes to a body of work that they can be proud of. In stark contrast to our parents and grandparents, graduates today are never going to be following that linear career path, staying in the same career, or even in the same job, for their whole working life. The good news is that this takes the pressure off them deciding on that One Perfect Career. Instead of trying to choose now the one career that is the perfect fit (anyway, it’s impossible to know that without having experienced it! ), tell them to think of their next steps as a project that appeals to them right now. Maybe it’s a graduate scheme, or a work experience placement, volunteering abroad, or further study – they’ll get the most out of it if they’re really motivated and excited about it. Make sure that they’re clear on why they’re choosing it, and that it will bring them some of that career capital that we were talking about. Do you know someone who’s graduating school or university – and still doesn’t know what they want to do next? Gift them a two-hour coaching session to support them in getting clarity on their career goals and help them choose between all the study programmes, graduate schemes and different jobs that they’re considering! There’s a lot of talk about coaching these days. Partly I notice this because I’m in that area myself of course, and so I follow many other coaches while I also get a lot of people asking me about my work; but there’s no denying that it’s an industry that’s growing. I think a lot of us are drawn to coaching as we go through our own transitions and we’re keen to support others in doing the same. There’s also maybe less of a stigma when it comes to getting support from other people, and even the top CEOs and entrepreneurs (not to mention athletes) work with coaches to become even better. And ultimately coaching is about helping people and it’s fantastic that so many want to devote themselves to this profession! In my case, coaching was something I came to very organically. I’ve always been interested in personal development, and before and after I quit my job in 2013 I devoured books and blogs about how to create a life and career you love. In doing so, I came up with the idea of training as a coach. I had some experience in coaching from work, where we as managers had learned the GROW model in order to coach our direct reports; it’s also something that fits with my natural “Socratic” approach to issues. Initially it was purely out of personal interest and curiosity and I didn’t necessarily have plans to become a coach – but through my studies and through practising coaching I quickly came to love it and it’s now an integral part of what I do. Coaching as an industry is relatively young and it’s not regulated in the way that other related fields like psychiatry are. Anyone can call themselves a coach, whatever their training (or lack thereof). This gives rise to a broad spectrum of styles and approaches, in addition to all the modifiers that give you life coaching, career coaching, business coaching, executive coaching, leadership coaching, etc. There are also internal coaches and external coaches; as well as many different formats in which coaching might be delivered, such as one-on-one or group, on the phone or in person, online programmes or face-to-face workshops. In a way, coaching is just a tool; one that you can use in a great many professions, without necessarily even having the official title of being A Coach. I won’t get into all the differences between pure coaching and therapy, or coaching and consulting, and other fields, but my point is: before you go further in your desire to be a coach, make sure you understand what that entails! A good place to start is Become A Coach by the ICF. Now that you know what coaching is: what is it about it that appeals to you? When I advise people on their career choices, I always highlight that one of the most important drivers of job satisfaction and fulfilment is that the work is meaningful to you. What is the impact you want to have with coaching? What problem do you want to solve, what is your vision for what you can achieve with coaching? Do you care about helping people and, if so, what do you want to help them with? Are you looking for something that can be done virtually, as a location independent business? Will this be one of a number of roles in a portfolio career that you’re creating, or do you want it to be your sole income stream? The first question to ask yourself is whether coaching as a profession is a fit for your innate preferences and personality strengths – are you naturally curious, do you enjoy solving problems, are you good with people, do you really listen when people talk…? Some of these skills can be developed, but it helps if you have that natural tendency already. It’s not just about the coaching process, either: if you’re thinking of starting your own coaching business, are you suited to being self-employed and all that this entails? 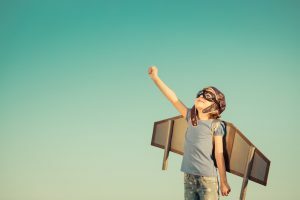 Finally, as a coach who is supporting your clients to be their best selves, the pressure is on for you to do the same: you’ll be a (potentially) inspirational role model and this will require a lot of work on yourself and on breaking down your own blocks and overcoming your personal fears. Given the lack of regulation, you can simply put up a website and declare yourself to be a coach without any kind of training or qualification; you may even be a good coach without any training. Personally, though, I believe that a good training programme is crucial in equipping you with both the confidence to really support your clients and the techniques and tools you need to be effective, as well as making sure that you’re informed of the ethics and ensuring that you’re really setting yourself and your clients up for success. I chose to do an ACTP (Accredited Coach Training Program) with the International Coach Academy, ICA. The Certified Coach Training Program included 125 hours of training and was run via teleclasses on a flexible schedule (different sessions in different time zones). It included a large practical element of actually coaching people, not only theory, and it felt much more international than many other programmes that are more US-focused. I particularly appreciated the peer coaching element, the access to different mentor coaches, and the requirement to develop your own coaching models and materials. If you’re not ready yet to invest in a full programme, I’d recommend starting with a book such as Co-Active Coaching: Changing Business, Transforming Lives. 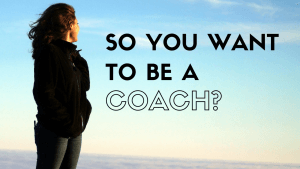 The best way to understand and learn about coaching, not to mention the best way also to support yourself in achieving your own personal goals, is to get a coach! Also, how can you possibly expect clients to pay you for coaching if you don’t do so yourself? In working with different coaches, you will get a taste of their different styles and ways of working, you’ll identify what you like and don’t like, and you’ll (hopefully!) experience the benefits and see the results that you can achieve in your own life. When I first started on my coach training, one of the requirements was to get a certain number of hours of coaching. I didn’t really feel that I “needed” coaching and signed up simply to tick the box. Not only did I get to see how other coaches behave, however, and fulfil that course requirement, but I also made a number of breakthroughs in unexpected ways. Today, I’m investing in a professional coach and seeing huge benefits, and this is definitely something I plan to do as a matter of course from now on! For all my talk of understanding coaching, looking at your skill set, and getting the proper training, don’t let this stop you from doing what all this is about: coaching! The best way to learn if it’s something you really want to do, and to get better at it, is to actually do it. Now I wouldn’t recommend that you coach your close friends and family as they can easily get annoyed and you may find it hard to separate your feelings as a friend and as a coach – at least make sure to ask them permission before you do so! You can, however, let people know that you’re training to be a coach and that you’d like to offer free sessions to people who are looking for support in whatever area you’re thinking of specialising in. Coaching is an incredibly powerful approach, and can be an incredibly fulfilling job – just make sure that you really consider if it’s a fit for you personally, weigh up the pros and cons, and, above all, go out there and experience it so that you can decide if it’s really something you want to pursue. I hope that helps to shed some light on the mystical and alluring field of coaching – I’d love to hear if you have specific questions, so go ahead and comment below if so and I’ll make sure to answer them! I gave a talk the other day about the importance of defining what success looks like for you as an individual, and finding a career in which you can really make a meaningful difference. After the talk, a number of people approached me with their own thoughts on this. Several of them – and these were people who were doing a job that was definitely in the ‘meaning’ camp – told me how much the message had resonated. They were thrilled with their personal choices, which had often been difficult, and observed the disillusionment and burnout of their peers who had gone into the more conventional ‘money’ choices of banking, consulting, and so on. Of course, I’ve been working largely with that latter group, just a bit further along in their careers: after ten years or more in that environment, they are now looking for the meaning that’s been lacking to date. In my monthly Fearless Fridays interview series, I talk to individuals who have taken the leap from their corporate or at least more ‘conventional’ jobs into the unknown of following their passion, doing something more creative or altruistic, and often starting their own business. That’s also been my own path: I followed the conventional route after school, university, corporate job – and then I quit to try to find my way back towards some greater meaning. But what if I had started off with that meaning, or passion, instead? What if I had gone into journalism first? Or tried to make it as an actress? What if I had got that job I wanted in the UN or children’s rights NGO? Would everything have been hunky-dory? So, first of all: no one I’ve ever met who followed their heart – and I’ve met a lot now over the years – has ever told me that they’ve regretted it (whereas I know plenty of people – among them my clients – who regret their corporate choices and now want to do something about it). Maybe it’s because they don’t know any better, and they’ve never been tempted by those prestigious job titles and six-figure salaries, they’ve never experienced the call of the lavish Christmas parties and offsites?! 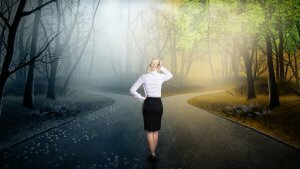 A common assumption when it comes to following your heart or your passion is that you will earn less money and on top that there will be a higher risk associated with that path. The truth is, though, that you can fail at something you don’t enjoy as well – so surely it’s better to risk failure at something that is really meaningful to you? I believe that having the passion and interest for your job will mean that you are so much more motivated to work hard and more persistent in the face of challenges. You will learn faster, get better at what you’re doing, and ultimately create better results. Those who tell themselves that they will pursue more meaningful work “later” may also be fooling themselves. At best, they’ll be working late into the night to earn those high salaries and may find that they burn out so that they are forced to make a change at some point. At worst, they’ll never get round to that passion project at all, as the doors to those childhood dreams have been closed simply by the passage of time. Knowing that, therefore, why not avoid those regrets and go with your heart and your happiness as the number one priority from the start? The old me would have tended to believe all the statements in this area: that we should pursue a sensible career that will give us skills and experience that we can use later to do what we really love. In the last few years, I’ve been rejecting that idea and questioning all the assumptions on which it’s based. Now, I may well begin to see some wisdom in the argument again! The key benefit I see in following the more traditional career path is that it builds your career capital, which will then pay dividend later in your career. This includes skills, training, experience, as well as your network and even savings in your bank account. Continuing your studies at prestigious universities, joining impressive graduate schemes, and going for jobs with a formidable reputation such as management consulting – all these choices do undoubtedly give you an accelerated launch onto the career stage. The corporate sector will give you faster advancement, these employers have more bigger budgets to invest in capability building, and they are likely to be a great selling point on your CV. Again, looking at my own career trajectory, I gained expertise in marketing and brand building of course but also leadership, team collaboration, project management, people management, public speaking, etc. at Procter & Gamble. I also gained a fantastic network of professionals across different industries and it was this network that first made my foray into consulting successful, both in terms of my expertise and in terms of having been recommended to the position by former colleagues. Even my career coaching would not have materialised if I hadn’t gone through my own career transition, i.e. if I hadn’t had that initial corporate experience. There is a book by Cal Newport, So Good They Can’t Ignore You, in which the author argues in favour of this idea of first building your career capital – in whatever area – as “skills trump passion in the quest for work you love”. I certainly won’t disagree with the idea that it’s best to be good at what you do! This route can in any case be a good way forward if you really don’t know what is your passion or your calling or whatever you want to call it; or if you are 100% certain that it won’t make you any money! If you can’t afford to follow your (less-well-paid) passion as you have debts to pay off, a young family to look after, etc. then postponing such a move to a better time may be wise. Consider the bottom of Maslow’s pyramid: you need food and shelter before you can get on with self-actualisation. Just make sure you don’t put it off indefinitely as there will never be a perfect time! Whatever you do, do it with intent! As ever, I’d argue there is no right answer. For me the crucial point is that whatever decision you make you must make it yourself – without being heavily influenced by the expectations, fears and preferences of other people – and make it with intention. 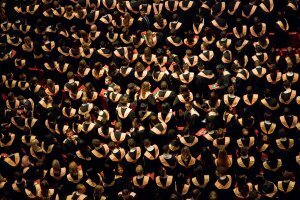 So don’t just continue on that conveyor belt into the obvious choices after university (or even university in the first place), but by all means choose that graduate scheme if you think it’s something that you will enjoy and you recognise the consequences of the choice that you’re making. It’s also not as black and white as we tend to make it in our decision making: even if you choose not to go for your big passion as a career straight out of university, at least for the time being, you can still consider how you might find an outlet for that passion outside of work. In my case, for example, I loved acting and although I never pursued it as a career I became very active in local amateur dramatic societies; and I loved writing and found an outlet for this at least initially on my blog. So what do you think: meaning and passion first, or money and career capital first? Which path did you follow? Do share your thoughts in the comments below! In this webinar, I’m going to delve into more detail on the reasons why people fail to pursue and achieve their dream career; and I’m going to be grabbing onto that word, ‘unless’, to help you to get over those barriers and to succeed in finding meaningful work that you actually love. If you were to ask a class of five year olds which of them is good at running (or singing or dancing or maths or whatever), most if not all hands would shoot up in an instant. As young children, no one has yet taught us to be humble in public and we haven’t been exposed to people who are better than us to the point that we lose confidence in our own abilities. 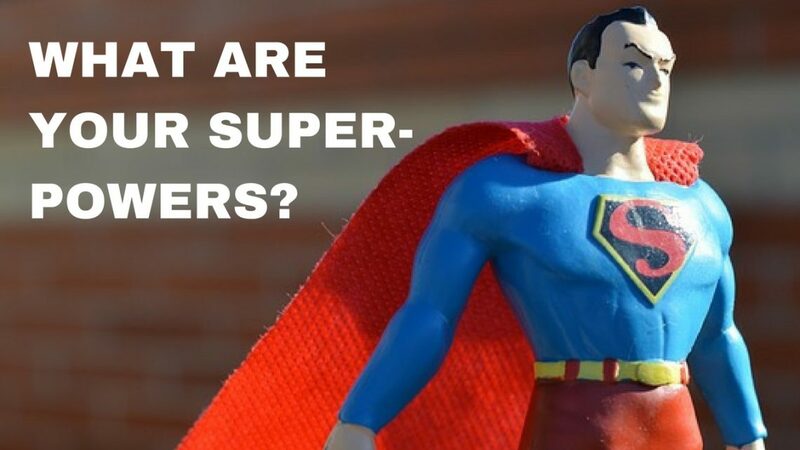 Each child feels like a superhero with a wide array of superpowers and infinite possibilities. Ask the same question in a group of adults, though, and even the people who truly are good at whatever it is are likely to raise their hand only timidly, with a shrug and an apologetic smile. I’m a firm believer in the idea that we can reach our fullest potential, and make our biggest contribution to the world, when we find work that matches our values, our interests and our individual strengths. But how can we ever hope to do that if we’re not confident enough to declare what those strengths are and, even worse, we’re not even sure what they are? When I started at Procter & Gamble, I was incredibly uncomfortable with the annual process of self-identifying my strengths (but of course inherently at ease with pinpointing my weaknesses). I would find it impossible to determine how I was better than my peers, especially in my first months, and I would inevitably undersell myself. The whole process can be particularly difficult for those of us who are ‘multipotentialites’, Renaissance men and women, or whatever you want to call people who have many areas of interest and ability. At school, I was good at both the maths and science subjects and the humanities – which meant that any careers quiz I did would resort to giving me an answer that reflected my particular interest at the time (actress, journalist, astronaut, doctor… – see a pattern? Nope, neither did I!). “Find your streng­ths” is arguably better advice than “follow your passion”. 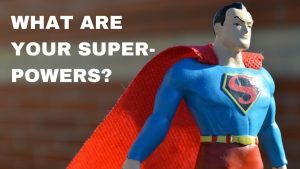 So how can you find out what your superpowers are? I believe the best way to identify your strengths is to start from your own experience. Ask yourself: What are your biggest achievements? What was it that made these a success? In which situations did you feel the most proud, most fulfilled? Think beyond your professional endeavours to your personal hobbies and interests. What do you do in your spare time and what do you most enjoy doing? What jobs do you find yourself taking on and running with? If you want a bit of extra help in identifying your strengths, you can try a free online test like this Myers Briggs one (and there are many other paid tests if you’re really interested in digging deeper). Once you have an idea of what you think yourself, you can extend your research to ask your peers, your colleagues, your boss – either via a formal survey or just in a confidential chat. Go beyond your job title! If you’re a social media manager, don’t just write down “social media management” – what were the responsibilities you had and what did you as an individual bring to the role? Observe what you do differently to other people. You may think certain ways of thinking and acting are obvious but it’s often those behaviours that are the most natural that are the ones that indicate particular strengths. Avoid the obvious and the bland! We’re all “a passionate, results-driven team player with strong communication skills” so really try to identify the traits that are unique to you and find ways to express these in a distinctive way. And how can you own those superpowers? Now once you have your core strengths identified, you’ll want to really ‘own’ them. You need to be able to state them with confidence in an interview, relay them to a potential client, or communicate them to senior management. One way to feel more comfortable with pronouncing your strengths to the world is to substantiate them with concrete examples from your career and personal life. This is anyway what’s expected in an interview but whatever the situation the evidence will help you to support your case and give context to an otherwise quite meaningless noun or adjective. So make sure that you think of one or two specific situations in which you demonstrated those strengths. For example, if ‘leadership’ is a key strength, what situation can you think of when you engaged and enabled a team that had been struggling without direction, to ultimately achieve outstanding results together? If ‘persistence’ is one of your strengths, when did you show an impressive level of perseverance and grit so that you reached a successful outcome that otherwise wouldn’t have been possible? If you have an innate curiosity and love of learning, how do you exhibit this in your everyday life? What courses have you taken that weren’t mandatory in any way to your studies or your job, what books are you reading, what do you do to make sure that you’re continuously learning and developing yourself? See also Michael’s recent guest post on the importance of owning your value. We all have superpowers – we just need to find them… and believe!